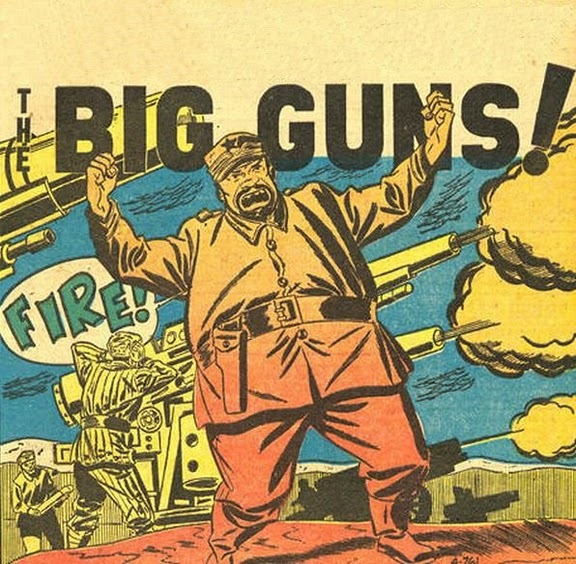 Big Guns of World War II - Sometimes, you just want a little gun fun. Believe me, I know how it is. The teacher got you down? That boss acting crabby and demanding? Spouse or sibling just needs to be taught a lesson? This is a fun page to just let it all hang out. Coastal gun blasting away. Note the ships in the distance. I think this is a scene from "The Guns of Navarone." Well, here you go. Almost all of these are German weapons because, frankly, they were into it more than the other combatants. 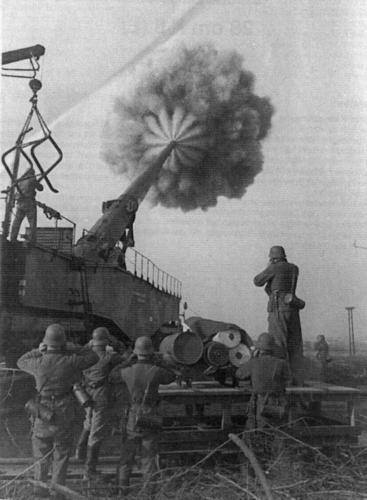 A Krupp K5 railway gun fires off a 255 kg shell from its 21m long barrel. The shells could reach up to a distance of 64km. This is circa 1944. The propaganda department worked overtime fetishizing the muzzles and poses - see above - of these monsters. This SS General knew how to position his forces. German Waffen-SS General Walter Krüger with a Tiger I heavy tank and an anti-aircraft gun vehicle of his 2nd SS Panzer Division 'Das Reich', Kharkov, Ukraine, 20 Apr 1943 (probably some kind of ceremony to mark Hitler's birthday) (Photographer Friedrich Zschäckel, German Federal Archive). But there are some Allied big guns, too, though the Allies tended to be more practical in this area. Tucked away in a corner of Ft Lee, stands one of the few remaining WWII era Krupp rail guns. Nicknamed "Anzio Annie" by the allies, this K5 was used extensively by the Germans all throughout WWII, first in 1940 for the invasion of France, and later in the war as a defense tool against the American invasion of Italy. It was later captured by the allies after the invasion. The barrel of this gun is at an impressive 280mm and was capable of launching 550lb shells over 38 miles. 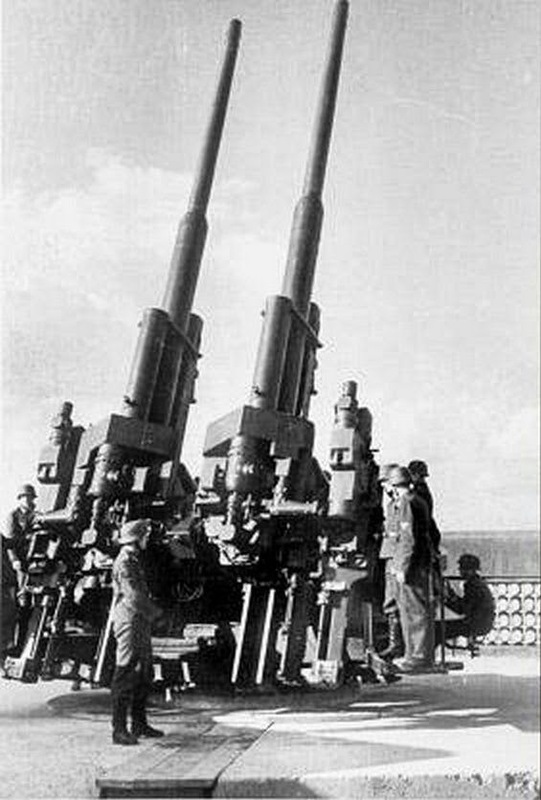 All you need to know about Germans and their big guns was that they were the only army who named theirs. "Dora," "Gustav," "Ziu," "Bruno," on and on. Have you ever heard of a US artillery guy naming his artillery piece or mortar "Betsy" or "Albert" or "Johnny"? I haven't. Some of these pictures aren't actually of the biggest guns - the U-boats, for example, didn't have huge guns - but those are included because the camera really catches them in all their mammoth glory. You'll be just as dead if one of those hits you. These go all the way up to 280mm railway guns - those are big guns. 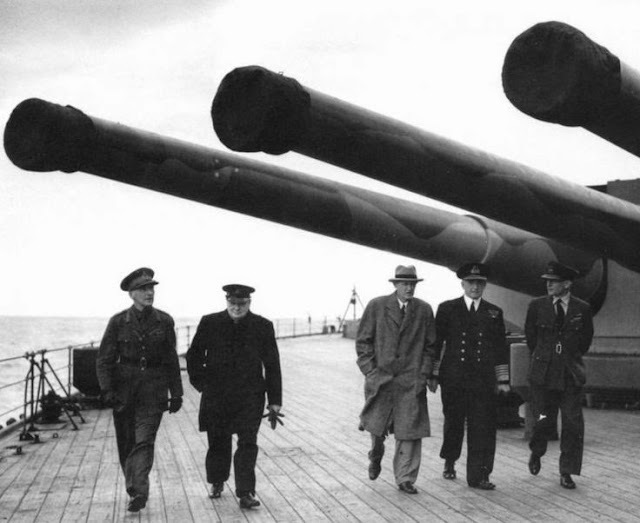 In general, the biggest guns were naval artillery on battleships, but it's only when you put them on land and stand a man next to them that you get the sheer impact. 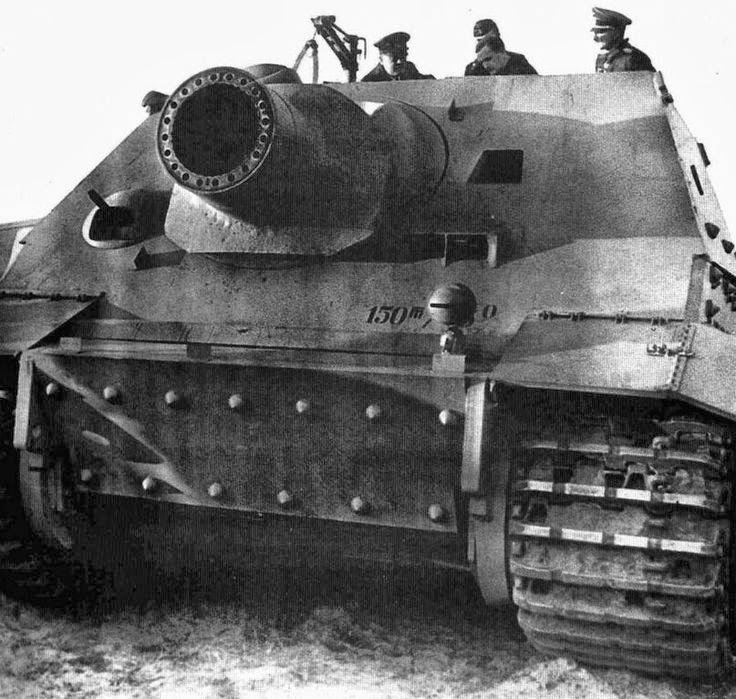 And, believe it or not, the Germans had plans to put the biggest naval artillery onto tanks. Yes, the Germans thought big. If you ever go to a German military museum, seek out the cannon shell for a Schwerer Gustav railroad gun. The shell is as big as a Russian T-34 tank! 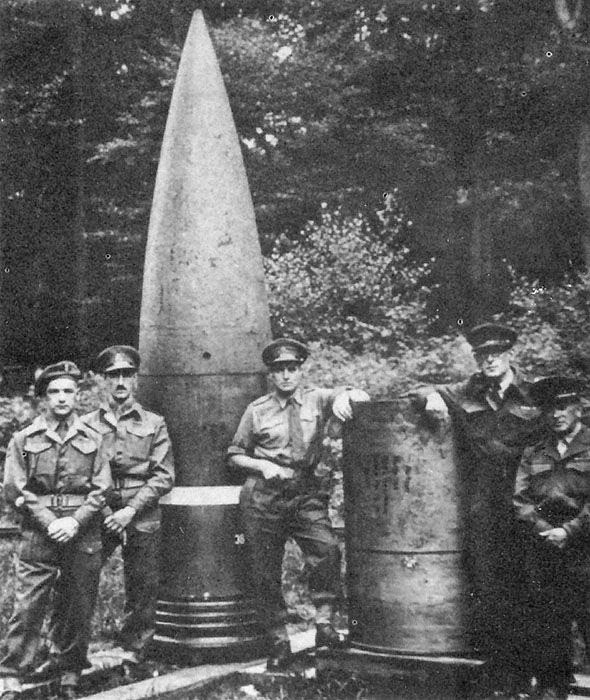 The Germans destroyed their big guns at the end of the war to prevent their capture, so very few survived intact, and none of the very biggest. 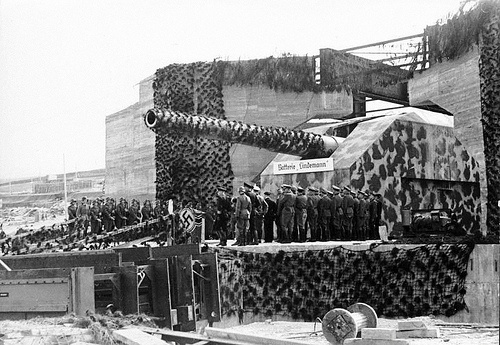 "Gustav Gun" built in Essen, Germany in 1941. 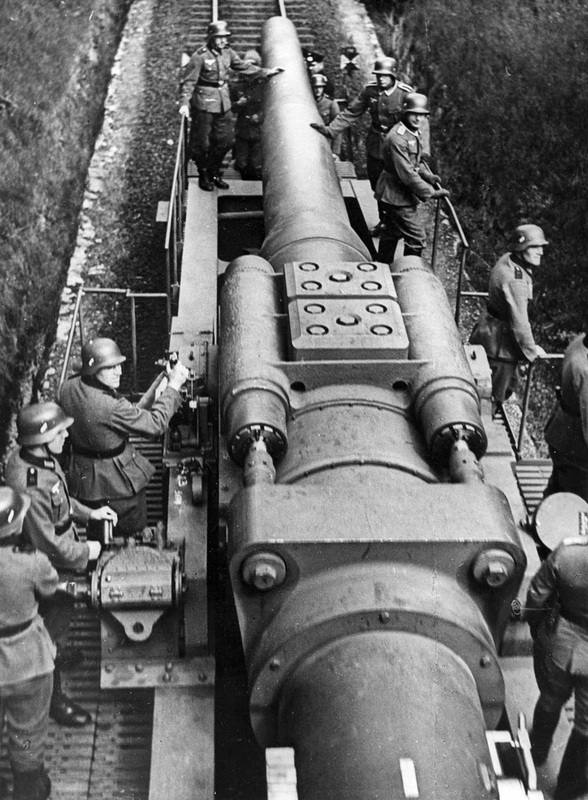 The strategic weapon of its day, the Gustav Gun was built at the direct order of Adolf Hitler for the express purpose of crushing Maginot Line forts protecting the French frontier. 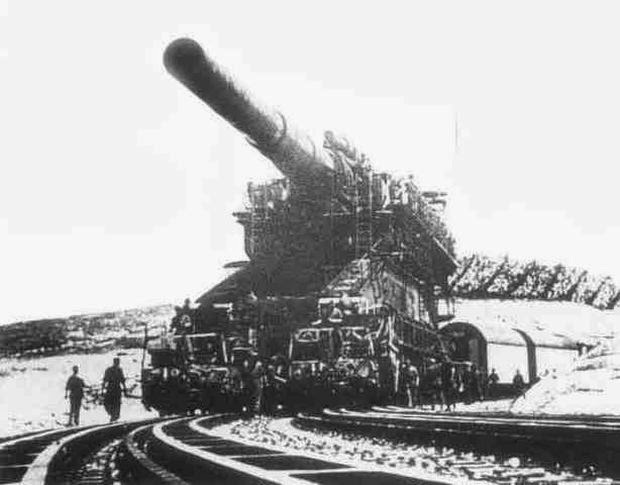 To accomplish this, Krupp designed a giant railway gun weighing 1344 tons with a bore diameter of 800 mm (31.5") and served by a 500 man crew commanded by a major-general. No museum would be big enough to show the biggest anyway - and you'd have to build two parallel tracks for it to sit on. Probably just as well. Just keeping it from rusting away would require a team of men. 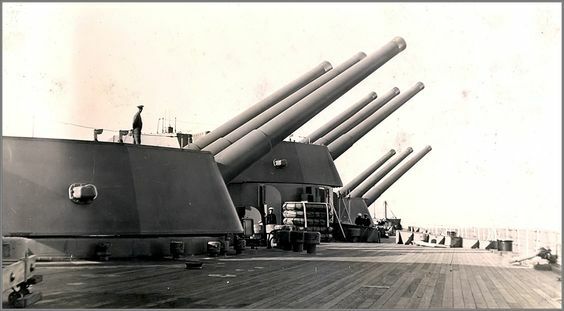 Elevated 16" guns of battleship HMS Rodney. 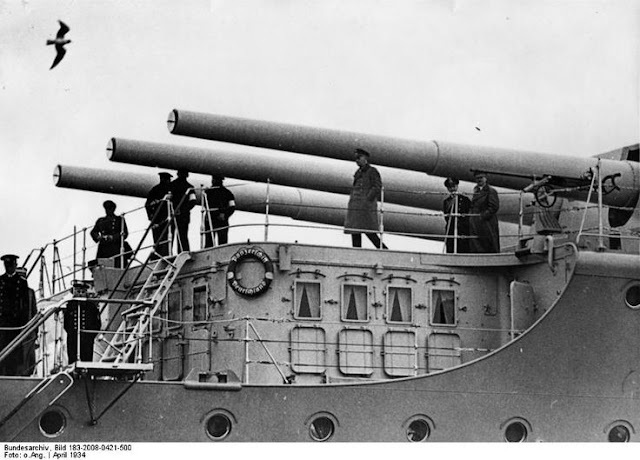 The very guns that were used against the Bismarck. A lot of the biggest guns are on the bottom of the Atlantic and Pacific. Or, they have been melted down into scrap. On the whole, I'd rather be on the bottom of the Atlantic or Pacific. 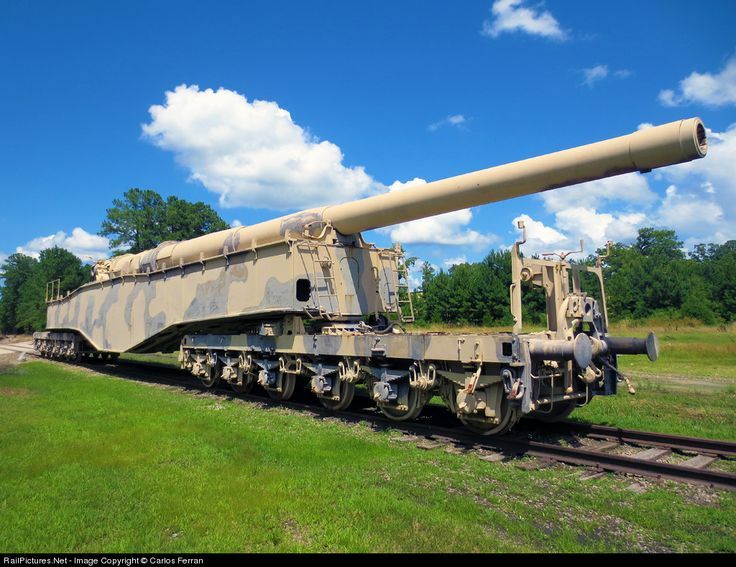 "Anzio Express," a Krupp K5, was one of the more effective German big guns (it survived, a recent picture of it at Ft. Lee is below). 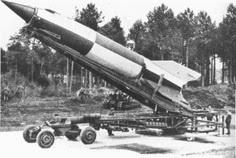 That it could fit into railway tunnel to hide from aircraft was a major plus, because it meant no need for smoke and no extra antiaircraft batteries and fighter defenses (yes, the biggest guns required all of those). Some of the big guns required over a thousand men to care for them. Was it worth it? No, but they sure looked impressive in the newsreels. We all know the story that the big guns were useless and immobile and bomber fodder and all the rest. The biggest required thousands of men to set up and operate and were rarely used. General Heinz Guderian knew that during World War II, too, he wasn't a fool, but there was nothing he could do to stop the foolish misallocation of resources. Dedication of the battery "Lindemann," Battery Šlez-GIA-Holstein. 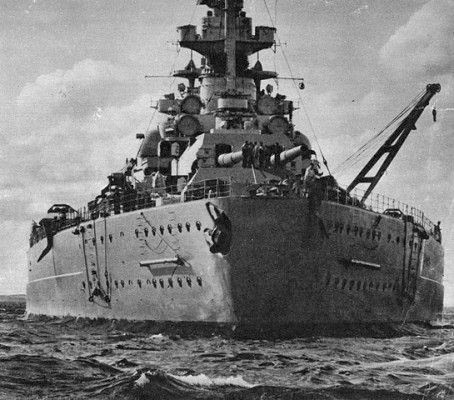 It was renamed on the personal order of Hitler in honor of Captain Lindemann of the battleship Bismarck, killed May 27, 1941, in the Atlantic. 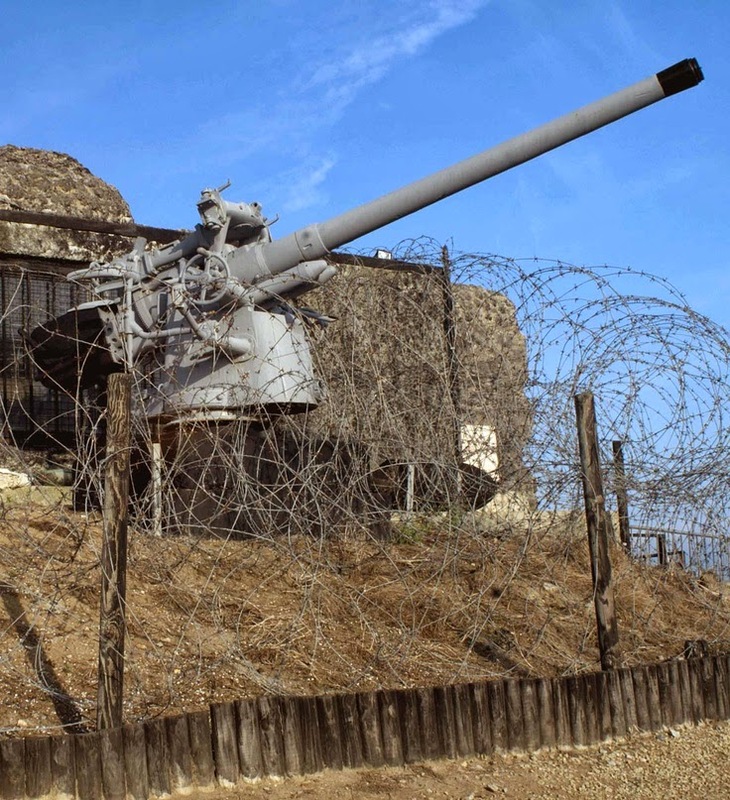 Hitler personally ordered the concrete casements for the guns. 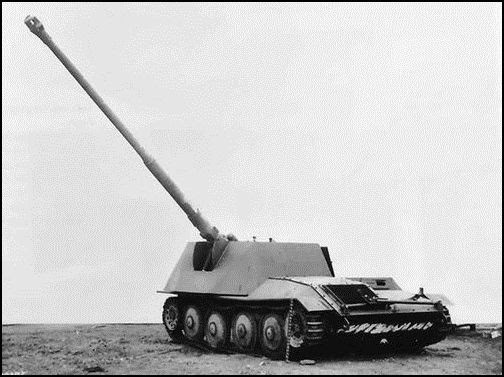 The battery was equipped with three 400-mm cannons and was never used. The biggest guns undeniably were not worth the cost. In fact, the results achieved generally were not even worth the cost of the shells fired to achieve them, let alone factoring in the cost of building, manning, protecting and maintaining the monsters. However, used properly, the big guns could achieve results. These useful situations involved an investment of well-defended fortresses such as at Sevastopol, where they helped defeat the Soviets, and Leningrad, where they didn't. 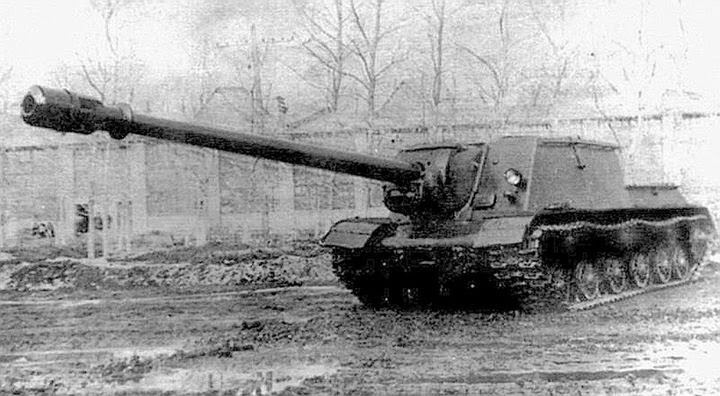 ISU-152-1 (ISU-152 BM) armed in 152,4 mm gun BŁ-8/OBM-43. Only one prototype was built, in factory number 100 in Chelyabinsk. When the Allies invaded southern Italy at Salerno and Anzio, the Germans hemmed them in for a while and brought up the big guns. 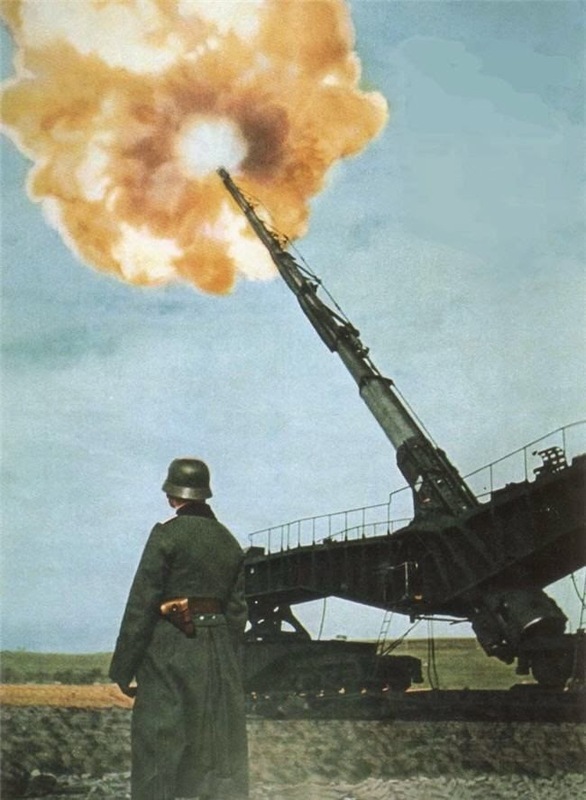 There is a film of the German gunners happily firing away their big guns at the Yankees on their beachhead and that contributed to the war's highest psychosis rate in the US Army. 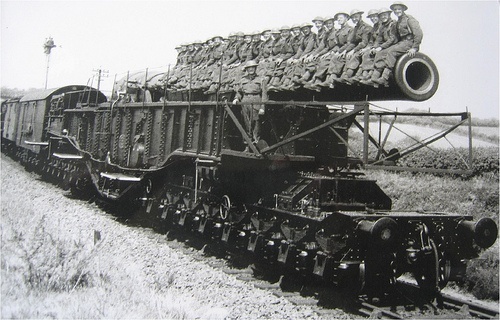 Obsolete or not, you didn't want to be sitting on the coast with a railway gun firing at you. There literally was nowhere to hide, and your survival was a matter of random chance. 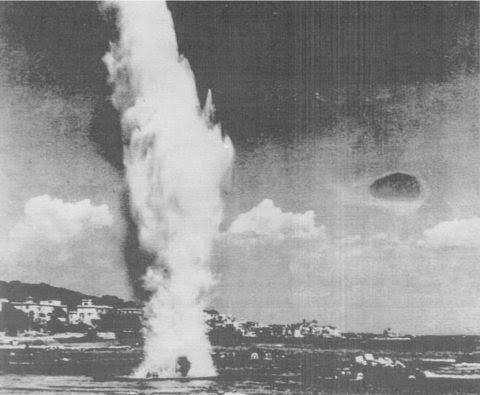 Splash from the Anzio Express. Anzio had the war's highest psychosis rate - i.e., battle fatigue. That was largely due to being pinned down for months while Germans fired shells like this at random, with nowhere to hide. 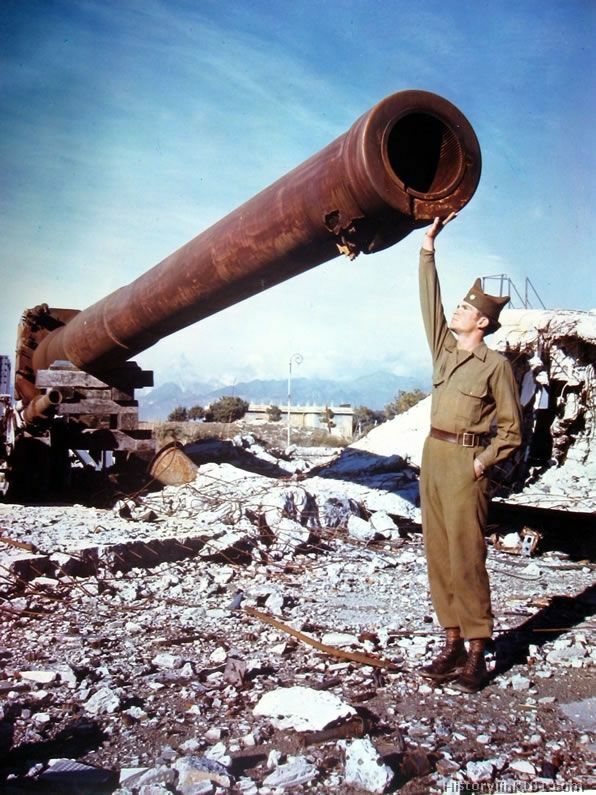 Big guns didn't disappear after World War II. Gerald Bull, a Canadian designer, kept alive the faith into the 1990s. He even wanted to launch satellites into Outer Space using big guns. The truth is, though, that technology already had passed the biggest of these guns by in the 1940s. They were better targets than weapons. That didn't stop the Germans, though. 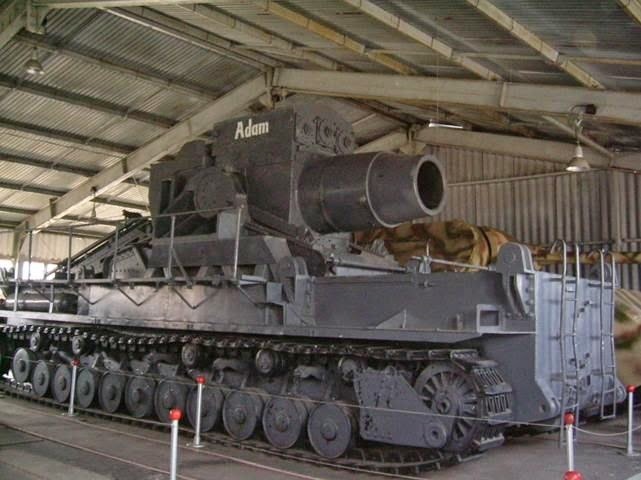 Hitler liked his big guns. 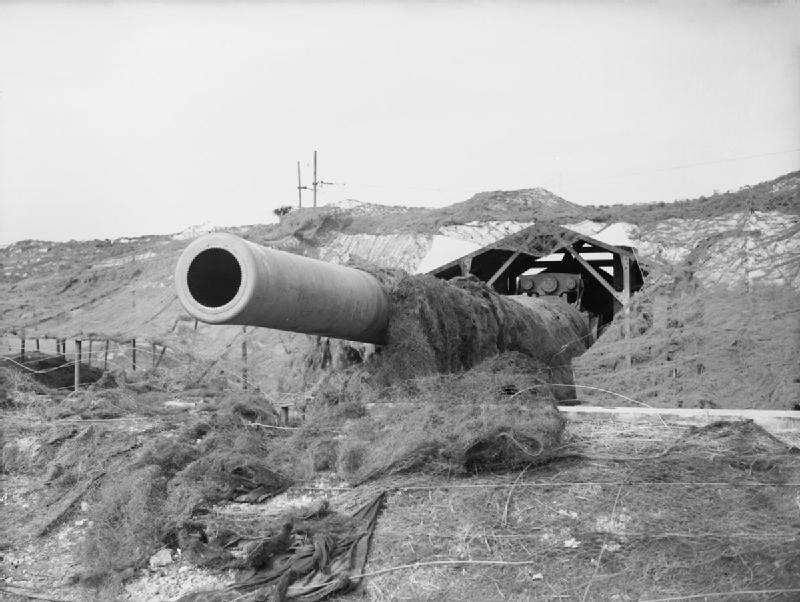 Normandy coastal gun, a 406mm (16-inch) SK C34 German coastal defense cannon which was used to shell Dover. What's fabulous about this is that it was taken at the time, not some artfully composed photo taken at leisure years later. This was a propaganda shot of a carefully guarded location. Another view, years later, no sentry, but still a very big gun. 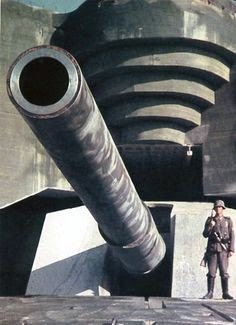 The big German gun in the earlier pictures did not go unchallenged. Here is one of the big British guns place right across the Channel at Dover. This one was called "Pooh." 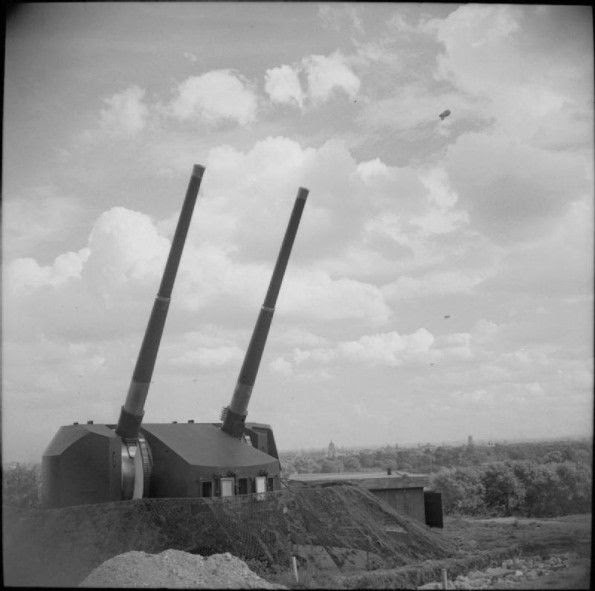 Berlin flak tower anti-aircraft guns. These bad boys were still in operation when Berlin surrendered. The flak towers were basically impregnable and simply bypassed by Soviet ground forces. Bismarck main guns. One shell sank a British Battlecruiser. Nagato, 1942. 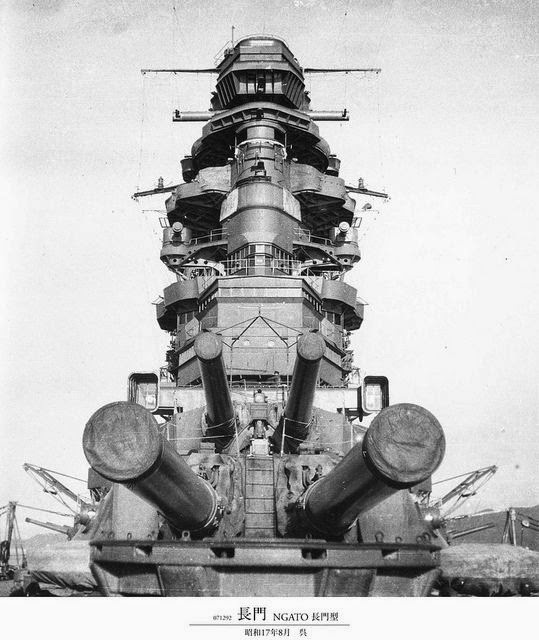 The Japanese battleships don't get a lot of attention, but some of them had the biggest guns of any warship. August 1941: The HMS Prince of Wales, carrying Prime Minister Sir Winston S. Churchill en route to the Atlantic Charter Conference to meet with President Franklin D. Roosevelt. This shot gives a good idea of the size of a battleship's guns. The Prince of Wales, incidentally, was the ship that had to turn tail and run from the Bismarck a few months earlier, so sometimes even guns this size aren't enough. 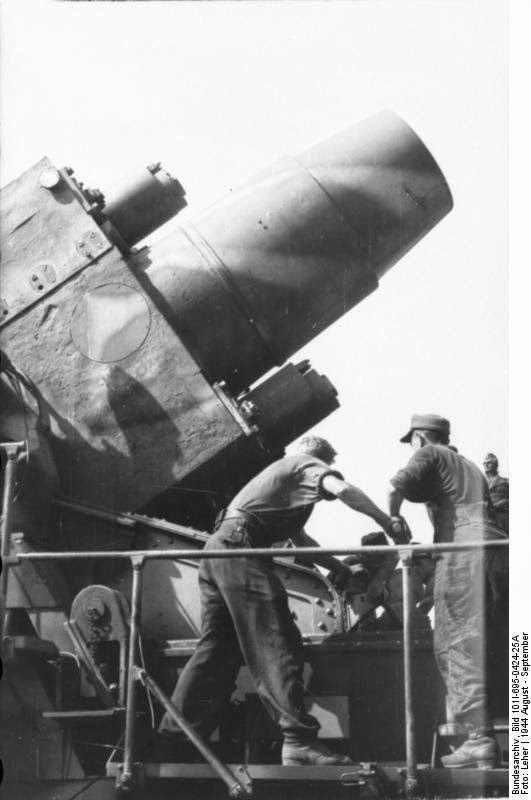 The 600 mm Mortar "Karl." German heavy self-propelled mortar during World War II. One of the most powerful artillery pieces of this period. They were used in the storming of fortresses and heavily fortified enemy positions, such as Sevastopol. A 16-inch coastal defense gun. Somehow, they look bigger on land than they do when in place on a battleship. Elefant with 88mm main gun. 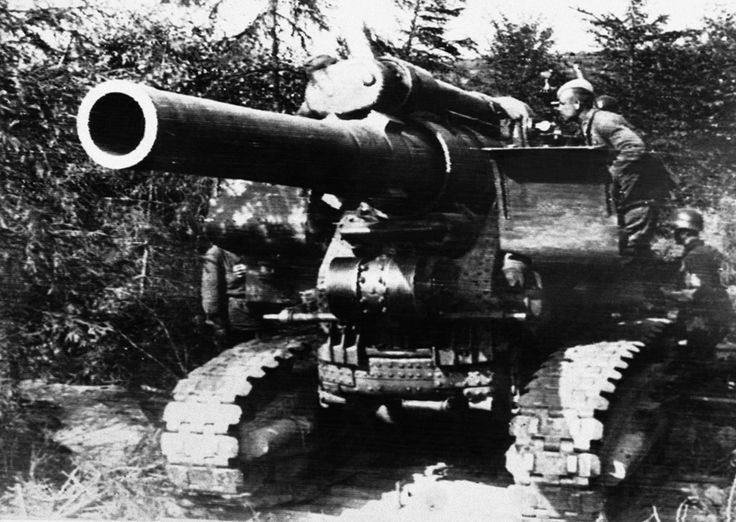 A Soviet 203 mm howitzer M1931, manned by its crew in a well-concealed position on the Russian front on September 15, 1941. (AP Photo). 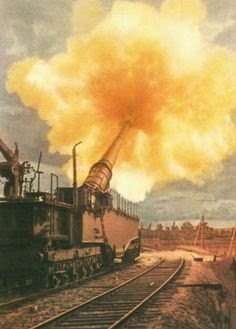 German "Bruno" 280mm railway gun. Look at how affectionately the soldiers are patting it. 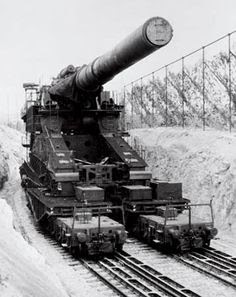 Railway gun prepares for the invasion of Poland, September 1939. 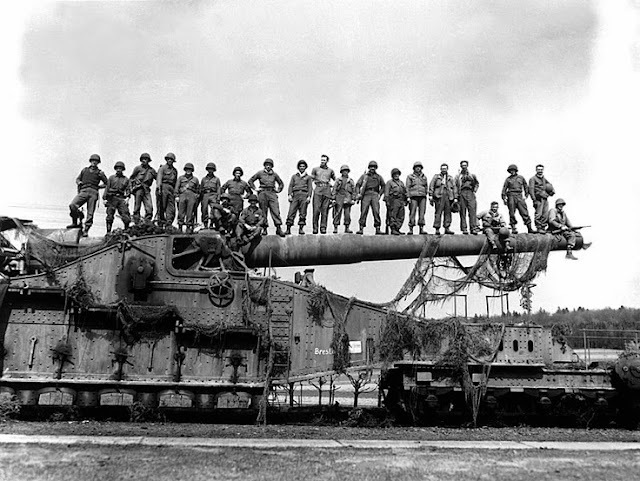 This gives some idea of the size of some of the German rail guns, with US soldiers on it after its capture. 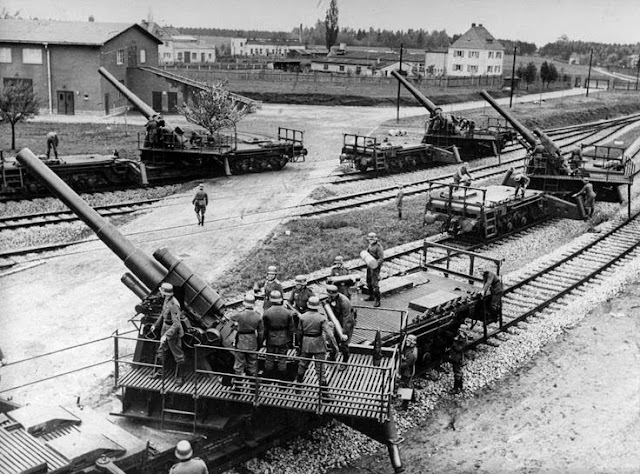 The biggest German guns, though, were blown up by the Germans before they could be captured. 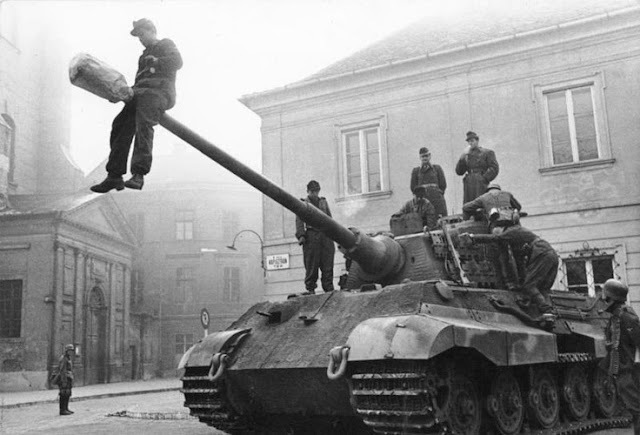 German master gunners would stay with their big guns and allow themselves to be captured rather than leave them. 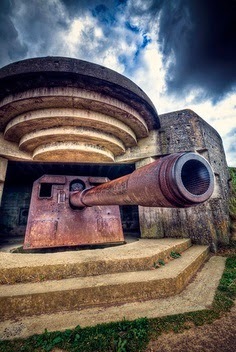 Normandy coastal gun. One of the reasons that Cherbourg was so important to capture was the presence of coastal guns there. Canons du Deutschland classe Lützow. Egal sur Amiral Scheer et Graf Spee (Big guns of the heavy cruiser Deutschland of the Lutzow class, guns of the same size as Admiral Scheer and Graf Spee). 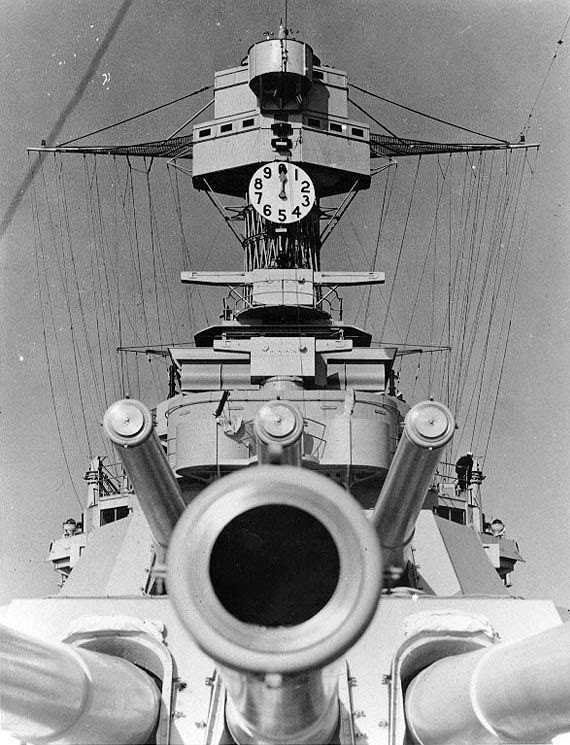 There were bigger guns - the biggest guns were on the big Japanese battleships - but these were impressive. (Federal Archive). Say hello to my little friend. Note the two special railway tracks required, always curved so as to give the gun lateral aiming ability by moving the entire thing forwards and backward. 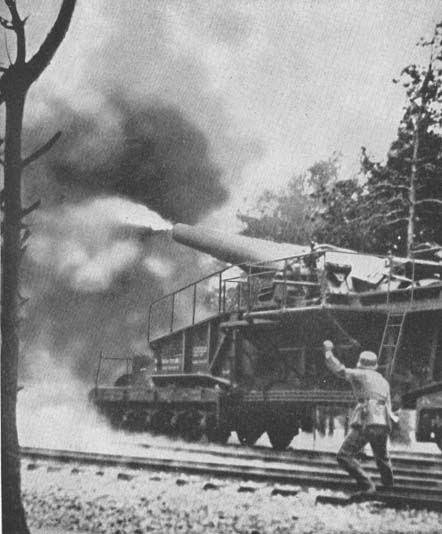 Since these wouldn't fit into railway tunnels for protection - at least not when assembled like this - they required elaborate smoke machines and anti-aircraft defenses. If this was on duty, it was almost certainly at Leningrad. Imagine how much manpower it took just to keep those tracks clear. Incidentally, the Internet is full of photoshopped pictures of this gun to make it look like something out of Star Wars. 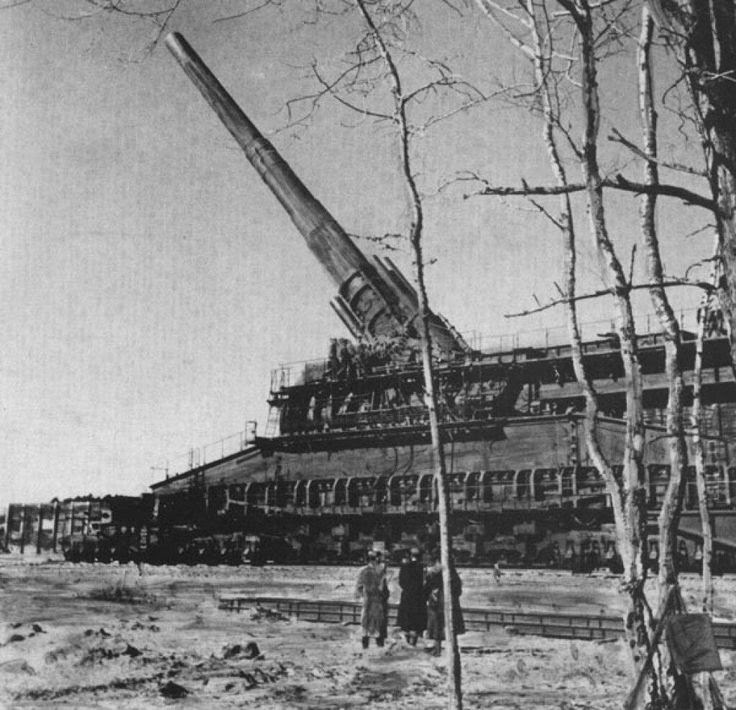 Another view of the 800mm Schwerer Gustav Railway Gun, giving a sense of its size. Note that it appears to have been pulled forward from the position of the previous photo. The curved track is hot it was aimed. They sure got excited when they went off. You wouldn't want to be about 29 miles away in that direction right about now. 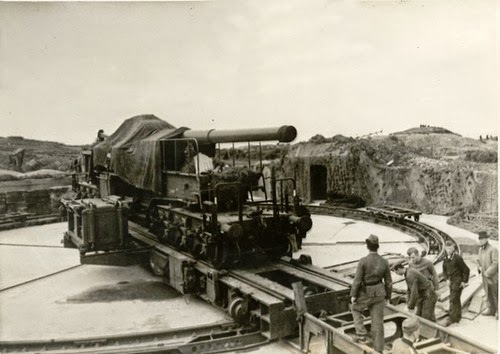 Heavy German railway-gun, Anzio Annie, Italy 1943. On a turntable for easy aiming. Protecting it from Allied air assault was a major project, note the rail track to take it to a tunnel. World War 2. 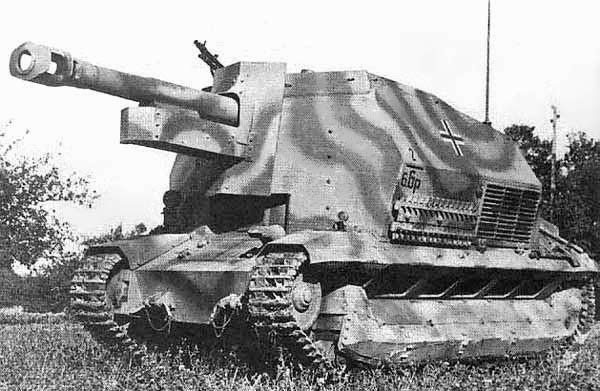 Experimental German 128- mm self-propelled gun on the chassis VK3001 (H) of 3/schwere Panzerjager Abteilung 521 in the Battle of Stalingrad. 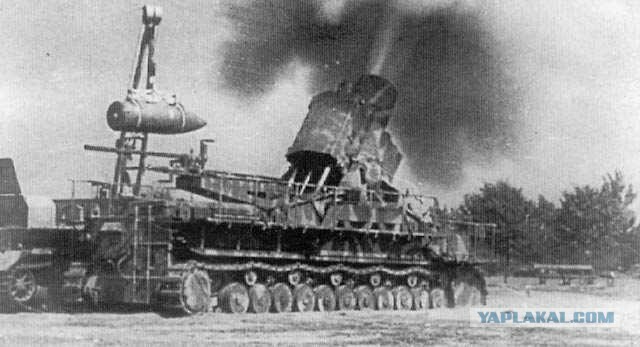 In September 1942, these two self-propelled guns were sent to Stalingrad front for testing. 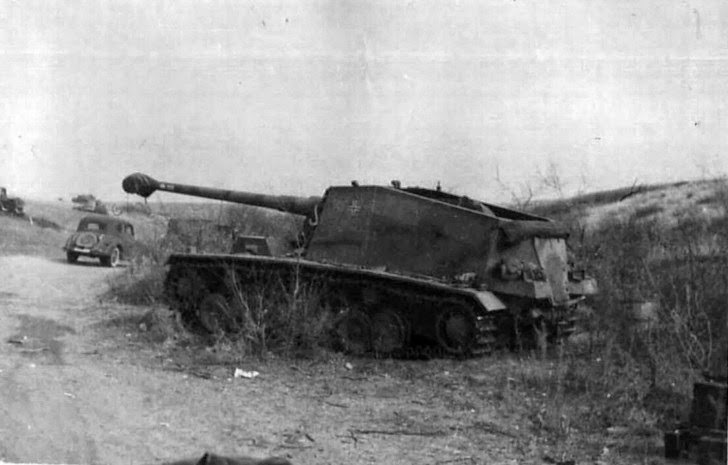 During the fighting, one of the self-propelled guns were irretrievably lost – captured by the Red Army in January 1943. 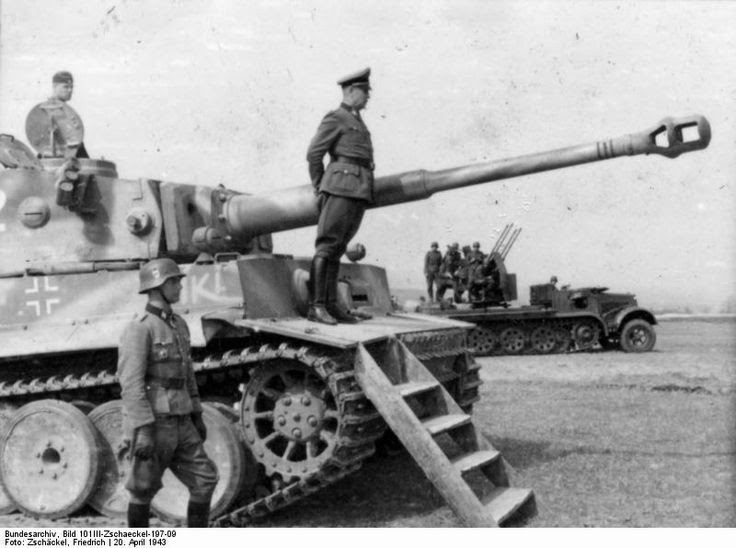 Tiger II 120mm main gun. London anti-aircraft. London was notorious among Luftwaffe pilots for having some of the densest anti-aircraft fire anywhere. Leningrad also had a lot. 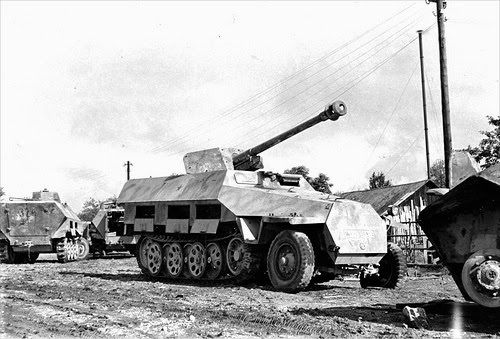 Marder 4.7cm Pak assault vehicle. They were not very agile, but once positioned - better get out of the way. 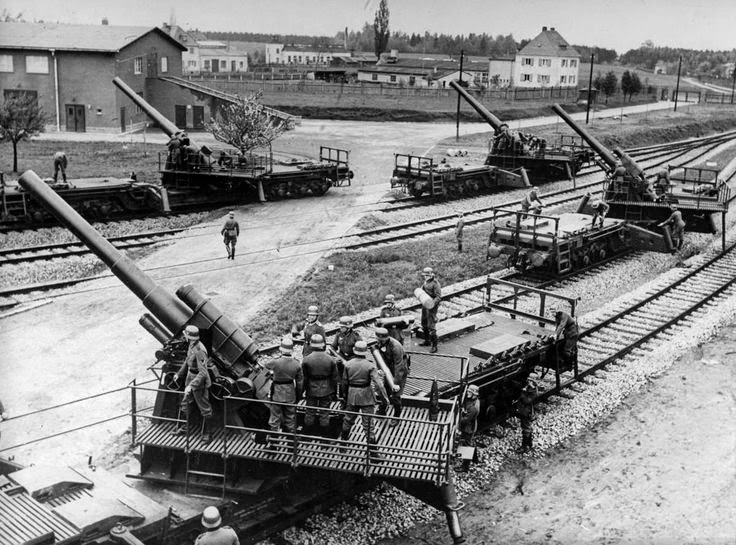 Invasion of Poland, Sept 1939: Railroad artillery ready to open fire; 150 mm guns in the foreground coupled by 170 mm in the background. 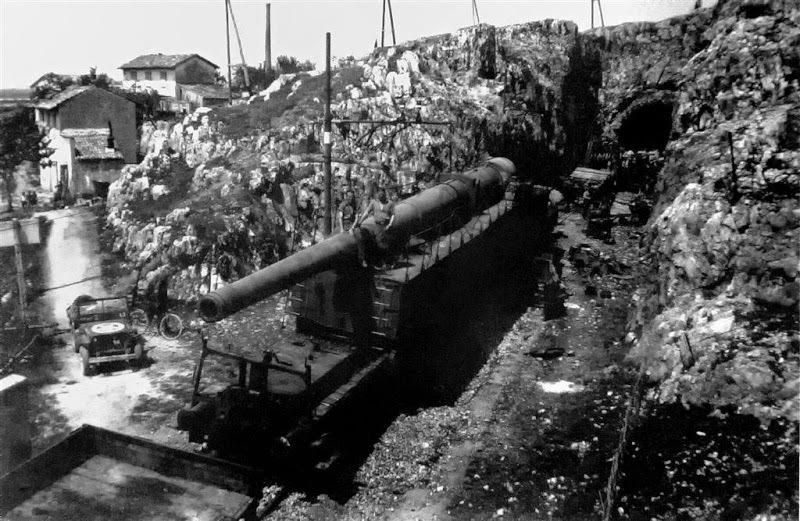 These guns were usually deployed in 3-gun batteries; their primary advantage was their fast movement from point to point, which compensated in part for the restriction of being able to move only along railroad routes. There were bigger German batteries - Gustav and Dora - but they had to be assembled on site and required all sorts of protection and manpower. These bad boys were run and gun. 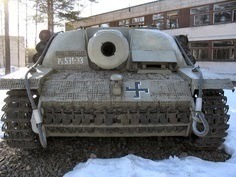 Stug anti-tank. These were cheap to produce because they didn't require a turret. The rank and file liked them because they were reliable and gave about 80% of the effect of a real tank, plus there was usually one around to help out and catch a ride on. 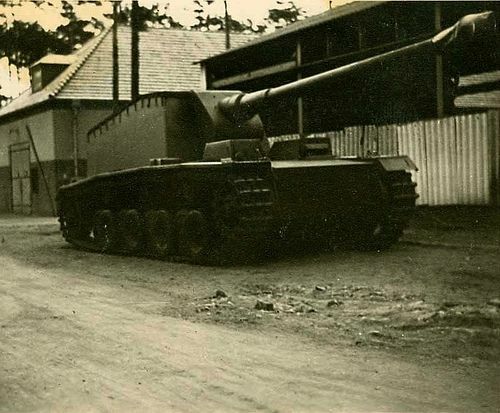 It was Germany's most produced armored vehicle. 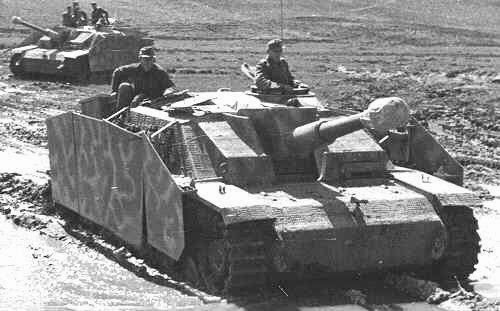 German Stug - the most-produced German mobile artillery weapon. This looks like one in Finland. Mörser Karl (Gerät 040/041) / Heavy Railway mortar "Adam" in Kubinka / Russia. 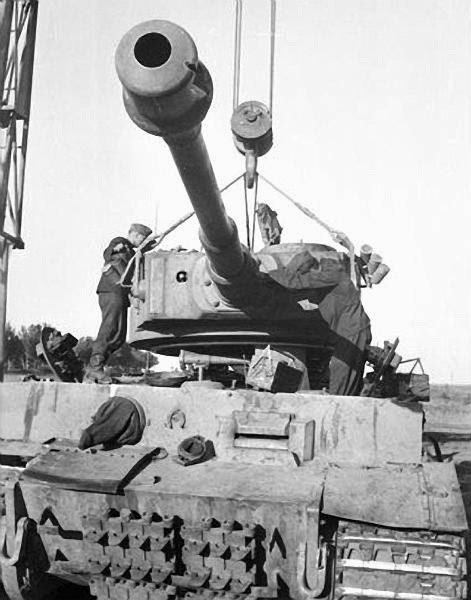 A Tiger I 88mm main gun. 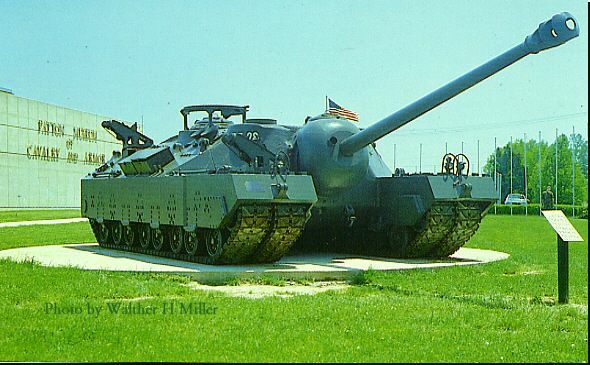 US 240 mm Howitzer Motor Carriage T92. Developed late in the war, but never saw service. It was a big gun on a Pershing chassis. Distinguish this from the much later T92 light tank, which had a somewhat similar profile. U-172. 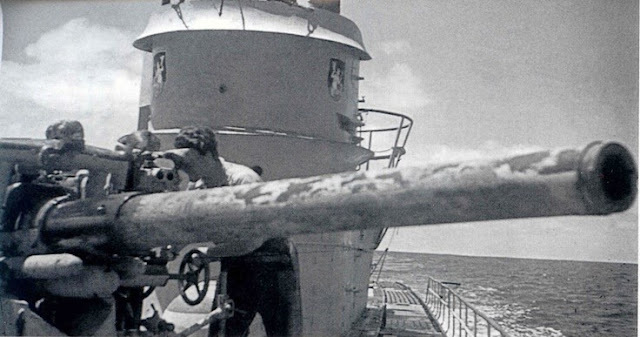 U-boats liked to use their deck gun in order to conserve torpedoes, and for anti-aircraft defense. Relative to the size of the craft, these were big guns. 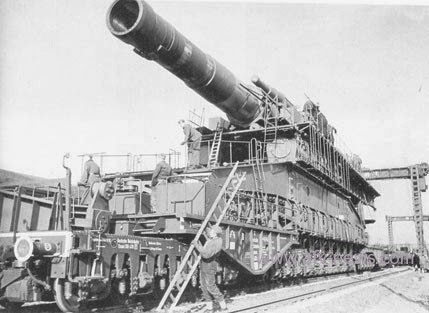 The Boche-buster 18 inches (457mm) railway gun 1942, Boche is French slang for German. 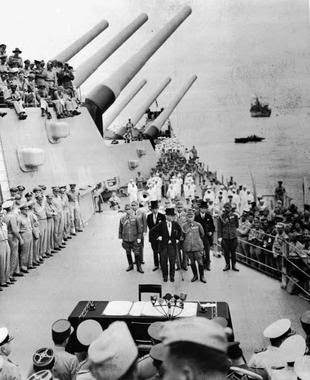 USS Missouri main battery at the Japanese surrender. V-2, a ton of Amatol fun in the nose. 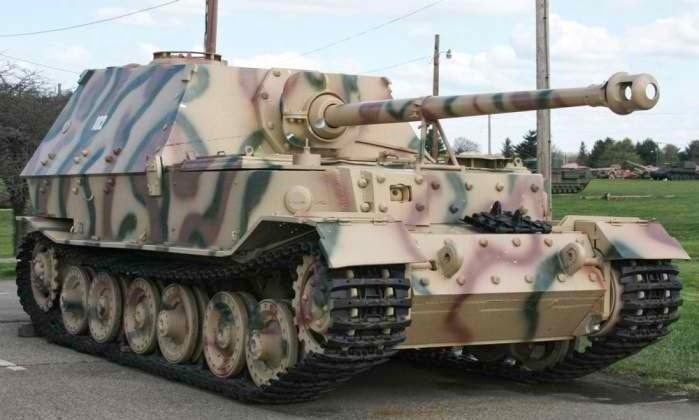 12,8 cm Selbstfahrlafette auf VK 30.01 (H) « Sturer Emil ». "Ziu" used against partisans at Warsaw August/September 1944 (Lehner, Federal archive). The American T-28 super tank was still in the planning stage when the Second World War ended. 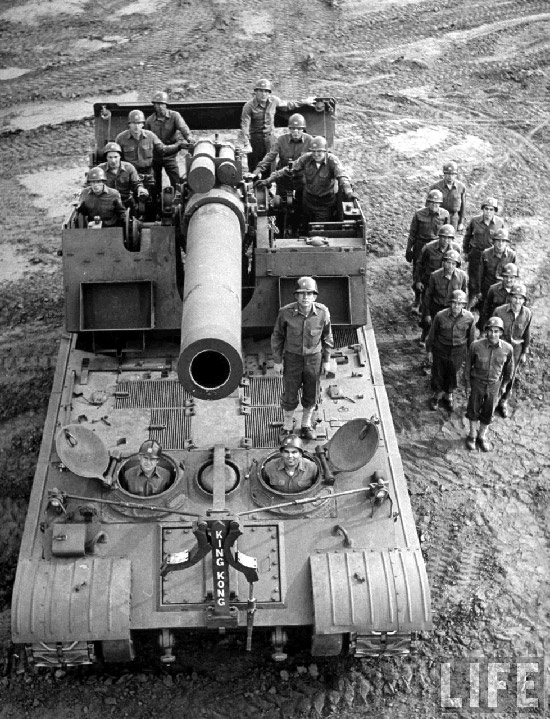 Amazingly, this 95-ton beast, which was fitted with a 105mm main gun, wasn’t even the smallest tank in the works. Only two of the tanks were ever built and neither of those was constructed in time for the end of the war (and shipping them overseas would have been a bear). However, when people tell you that the Germans were completely crazy and idiotic for building large tanks - remember this one. It was a common theme that bigger was better. This is in England. 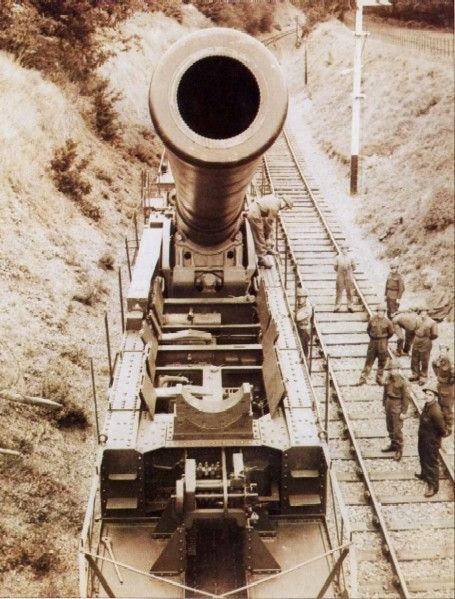 It is a railway gun that rests at Halwill Junction before proceeding to Ashbury Station area to fire a live shell into Okehampton Artillery Range impact area - over the heads of many civilians and their houses!! That's how they rolled in those days. 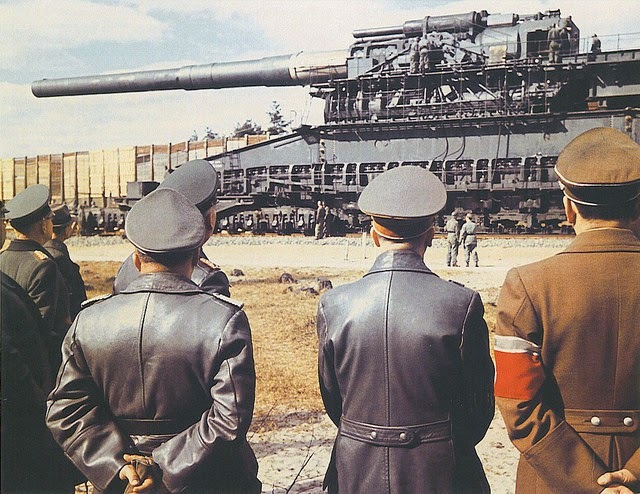 Adolf Hitler inspecting 800 mm super heavy rail gun Dora. Hitler (center), Albert Speer (left) and other dignitaries arrived at the testing site at Rugenwalde (now Darłowo, Poland). They reviewed Dora (80-cm-Kanone (E) and the prototype of the SAU SD. Kfz. 184 ' Ferdinand '. March 19th, 1943.